In promulgating your esoteric cogitations, or articulating your superficial sentimentalities and amicable, philosophical or psychological observations, beware of platitudinous ponderosity. Let your conversational communications possess a clarified conciseness, a compact comprehensibleness, coalescent consistency, and a concatenated cogency. Eschew all conglomerations of flatulent garrulity, jejune babblement and asinine affectations. Let your extemporaneous descantings and unpremeditated expatiations have intelligibility and veracious vivacity, without rodomontade or thrasonical bombast. Sedulously avoid all polysyllabic profundity, pompous prolixity, psittaceous vacuity, ventriloquial verbosity, and vaniloquent vapidity. Shun double-entendres, prurient jocosity, and pestiferous profanity, obscurant or apparent. In other words, talk plainly, briefly, naturally, sensibly, truthfully, purely. Keep from “slang”; don’t put on airs; say what you mean; mean what you say. And don’t use big words! How uncomfortable did you feel reading the first stanza? It uses language that is not very common. Many of the terms are nuanced and technical. Did it lead you to think back to all the times you needed to clarify conciseness? Haven’t we all encountered a vacuity that is psittaceous? Unfortunately, when presenting research it is very easy to use technical language that is just as uncomfortable. 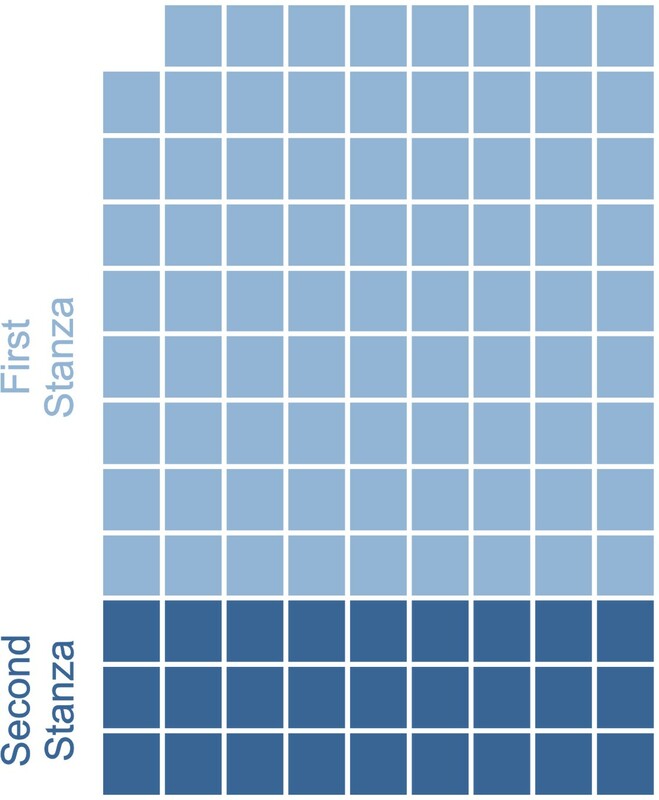 When you have been involved in a project from the first proposal to the final report you can see nuances in the data and elegant patterns in the analysis. Over the course of a research project terminology is learned, adapted and in some cases created to streamline conversations and interactions. This may work well for researchers but for those who have not been involved in the project it becomes as challenging to understand as the first stanza of this poem. Technical language is necessary and inevitable when working on a research project but it is dangerous when used in reporting. Language that expresses the nuance and elegance of data is often a barrier that keeps research out of reach to the very people it is meant to influence or help. Few people will ever take the time to learn the language to understand the meaning. While the reader may get lost in poem’s first stanza, the second is easily understood. With very few words (30 vs. 89 words) the meaning of the poem and the author’s lesson is plainly and simply revealed “say what you mean, mean what you say and don’t use big words”. The sharing of research should more closely resemble the second stanza. Although it is not as nuanced, the meaning is clear and the language is accessible. And is that not the goal of all researchers? To share what has been learned from research in the hope that it will be put into practice? If you have not guessed already, the title of this poem is “Don’t Use Big Words” and you can hear it recited (from memory) here.